The Naylor Environmental division was set up to address the growing market for environmental products, the intention being to offer a range of related products and solutions that all have a sustainable element to them, using recycled materials where possible and all offering an improvement to the surrounding built environment, taking into account Sustainable Urban Drainage (SUDs) techniques. 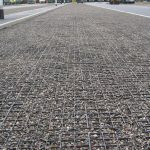 A range of grass/gravel reinforcement grids (AdPave) for use where vehicles traverse areas that might be subject to rutting – ideal for car parking, verge reinforcement, park and Rides etc. We even do a special extra heavy duty grid (HGVGrid) for lorry parks and dock areas. 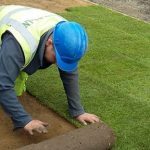 If a grid look to your grass area is not desirable then we can also offer a root zone reinforcement system (TechTurf) for use on heavy pedestrian, vehicular and even emergency access routes capable of taking HGV’s. The TechTurf system consists of the rootzone, fertiliser and specially grown turf to complete the area. 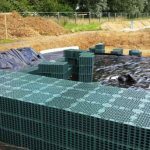 For underground storage structures to alleviate flooding, whether it’s a soakaway or attenuation structure, we can offer our Aquavoid system of storage crates. The Aquavoid-Metro is an all-round performer and comes in a 1.2m x 0.6m x 0.3m crate with a 400kN/m2 loading and is suitable for most standard situations. 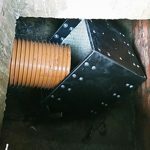 For poor ground conditions, heavy goods vehicles and high groundwater we also offer our 700kN/mn2 Aquavoid-Plus system which comes in a 0.6m x 0.6m x 0.4m format. Enviroflow is a non clogging 100% recycled filtration and drainage solution that is easy to install and handle, requires little to no maintenance and is high strength and long lasting. 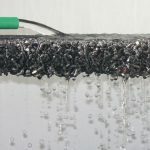 The Enviroflow can be deployed as land drainage, de-watering surface for retaining walls and as a structural base for porous paving. Apart from a flow through rate of 33l/s/m2 it also has the ability to filter out silts above 28 microns. NaylorPave offers a fully porous natural aggregate surface that is resin bound to form a factory produced highly consistent surface for car parking and driveways as well as pedestrian areas. 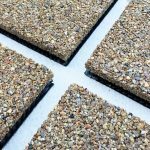 The NaylorPave has integral alignment pieces and the use of NaylorBond to join the 300mm x 300mm tiles gives a truly consistent surface that is SuDs compliant and hard wearing. 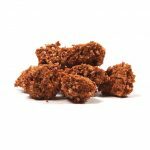 Smart Sponge® – Used within products such as Smart Gully Adapters, Smart Chambers & Skimmers this is a hydrocarbon removal system that absorbs and seals the hydrocarbon/oil pollution within a recyclable sponge. Smart Sponge Plus® – a pathogen removal system capable of killing 99% of dangerous bacteria in storm water, ideal for industrial applications. Smart Sponge® HM – a heavy metals polisher to achieve compliance levels from discharges. To speak to a member of our Naylor Environmental team please call 01226 794135 or email them.